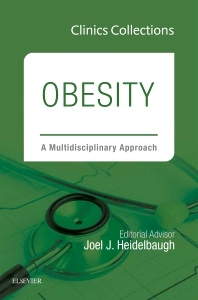 Clinics Collections: Obesity draws from Elsevier’s robust Clinics Review Articles database to provide multidisciplinary teams, including general practitioners, endocrinologists, pediatricians, gastroenterologists, nurses, and other healthcare professionals, with practical clinical advice and insights on this highly prevalent disease and its comorbidities. Elsevier Clinics Collections provide concise reviews of today’s most prevalent conditions and significant medical developments. Other Clinics Collections titles available include Type II Diabetes Mellitus, Asthma, and Pain Management.